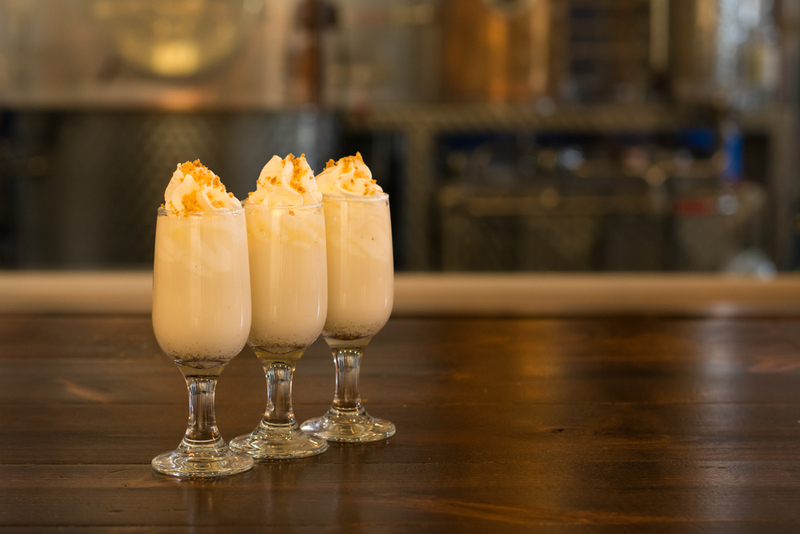 In case you're just joining the Girl Scout cookie cocktail conversation, here at HOLLOW LEG we're celebrating the sale of Girl Scout cookies by creating their boozy counterparts! And if you're thinking you're going to find cheap liqueurs and store-bought syrups with high fructose corn syrups, well madam/sir, please just click away. Everything in these recipes is DIY, natural, and sources incredible ingredients. Now, drumroll, please: Here is our take on the Trefoil Girl Scout cookie! Shake the first three ingredients together and add ice. Shake for 10 seconds. Strain liquid into another shaker and add ice cream. Shake vigorously for about 15 seconds to break up the ice cream. For a mini-shooter, strain into smaller glasses. For a big ol' glass of shortbread goodness, pour into a larger glass. See the garnish? It's made with fresh whipped cream and very simple shortbread crumbles. For the whipped cream, just toss heavy cream into a mixer and whip it until it forms firm peaks. I don't add sugar because the drink is already so sweet. For the shortbread crumbles, into a small bowl, add a tablespoon of butter, a tablespoon of sugar, and a tablespoon of flour. Rub together the ingredients with your fingers until they start to make little pebbles. Toss on a baking sheet (on top of some parchment) into a 350° oven for 10 minutes. 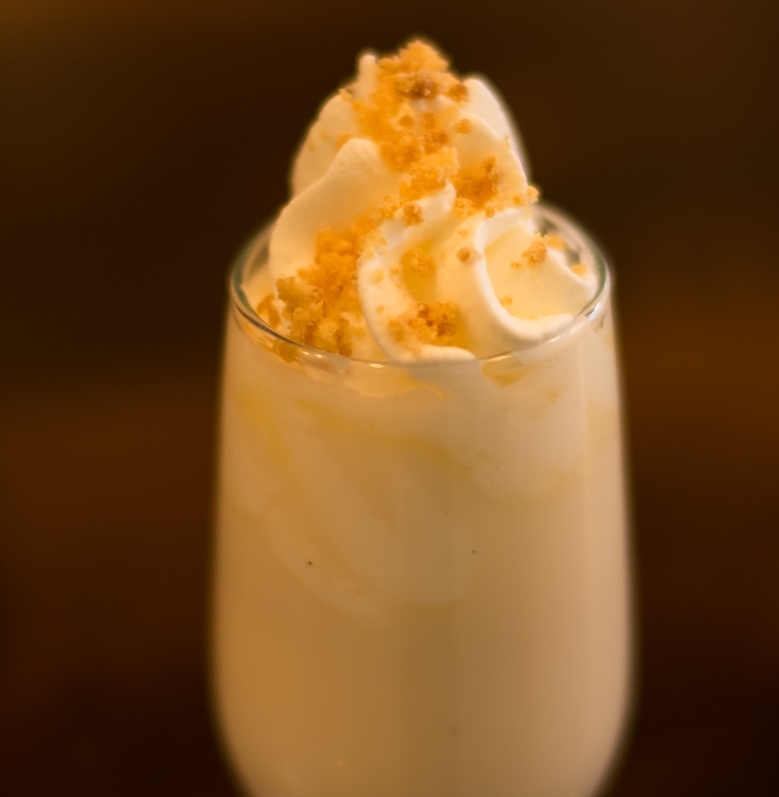 Pipe the whipped cream onto the top of the glass and sprinkle with shortbread crumbles! Let us know what you think! And if you're interested in learning our natural recipe for the Thin Mint cocktail, subscribe to our newsletter! Sign up and get the exclusive recipe for our Thin Mint cocktail!! !